Guess The MC... Fabric release their MC soundboard. 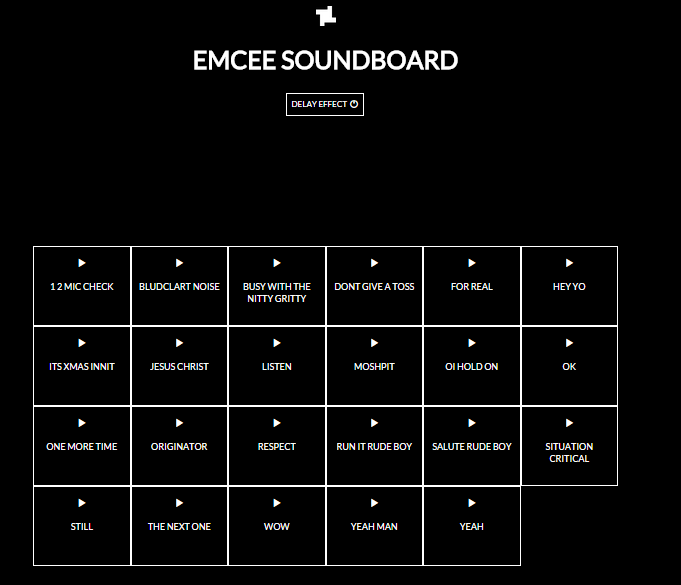 Anyway Fabric have sorted you out with their MC soundboard. We’ve been enjoying it a bit too much over the last 20 minutes – remember – not everyone in your office will want to hear ‘SALUTE RUDE BOY’ when they’re in a meeting. Use responsibly. Anyone into their drum n bass, play along, play guess the MC... Answers on a postcard.